Attention! Beware of falling into the attractiveness of YoonA in the state of goddess. Recently, YoonA was appearing in a seaside photoshot scene in “Love Rain” by dressing in elegant long dress. In the drama, Seo Joon (Jang Geun Suk) and Jung Ha Na (YoonA) break up. 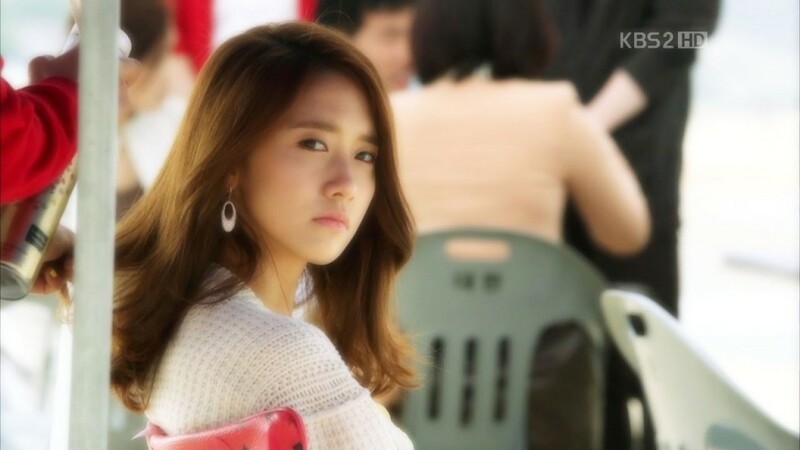 But in order to let Seo Joon sincerely faces her real heart, YoonA decides to become his model once again. This time, the shooting location is the beach. YoonA dressed in elegant and graceful yellow long dess, using her elegant and innocent image to attract the attention of viewers. The set of photos reveals at mysterious and misty flavor, making YoonA looks like a goddess. And the expression of YoonA with slight sadness also perfectly interpreted the concept of mysterious aroma that the set of photos want to express, successfully arousing the curiosity. The photos triggered explosive response from netizens, who said, "She looks like goddess descended from heaven, seemingly exuding glaring shines from whole body," "YoonA is really a person who only exists in legend, she is to beautiful," "I guess she is becoming model for Jang Geun Suk again, will she using her beauty to make him change his mind? I am curious," "Around her must be surrounded by 100 lights. This really like shooting pictorials," "Her sad expression, is Jang Geun Suk said something hurtful?" and so on.